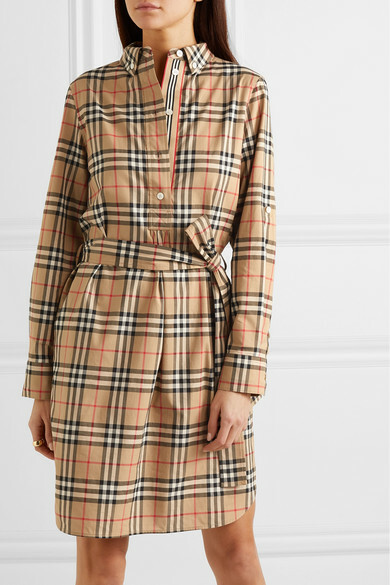 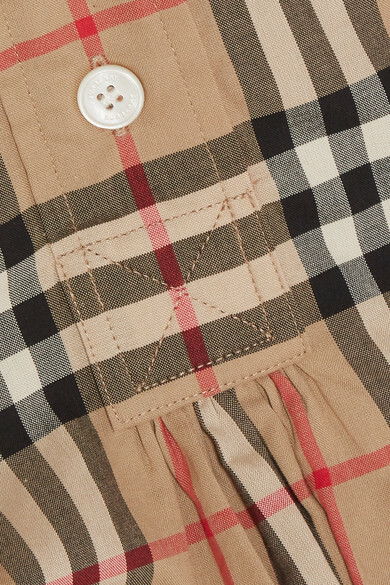 Burberry's 'Vintage' check debuted back in the '60s, and feels cooler than ever after Riccardo Tisci dressed Beyoncé head-to-toe in it while she was on tour last year. 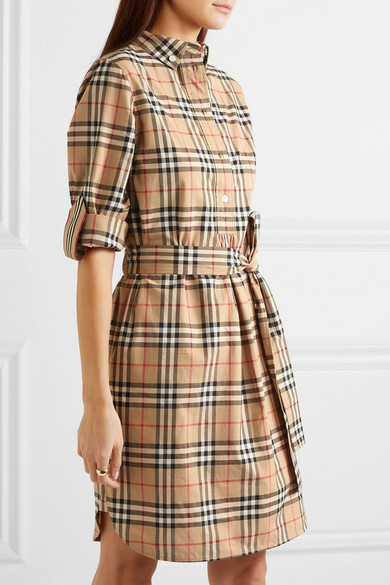 Made from breathable cotton-poplin, this shirt dress has a detachable self-tie belt to cinch the relaxed shape and grosgrain trims that secure the rolled cuffs. 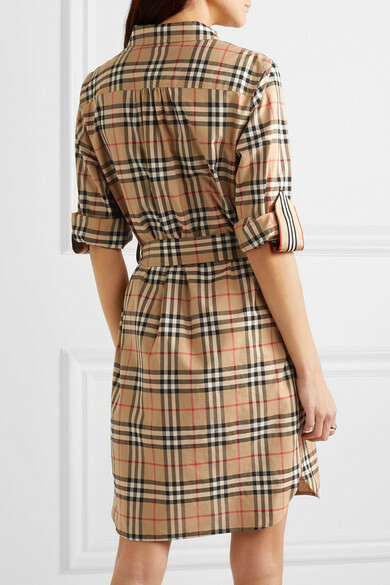 It looks equally chic with knee-high boots or sneakers. 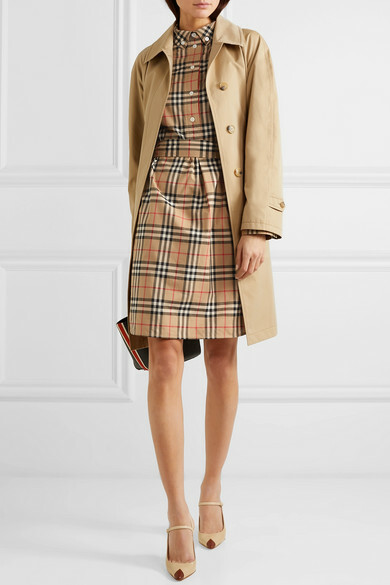 Shown here with: Burberry Trench coat, CALVIN KLEIN 205W39NYC Tote, Alessandra Rich Pumps, Laura Lombardi Ring.